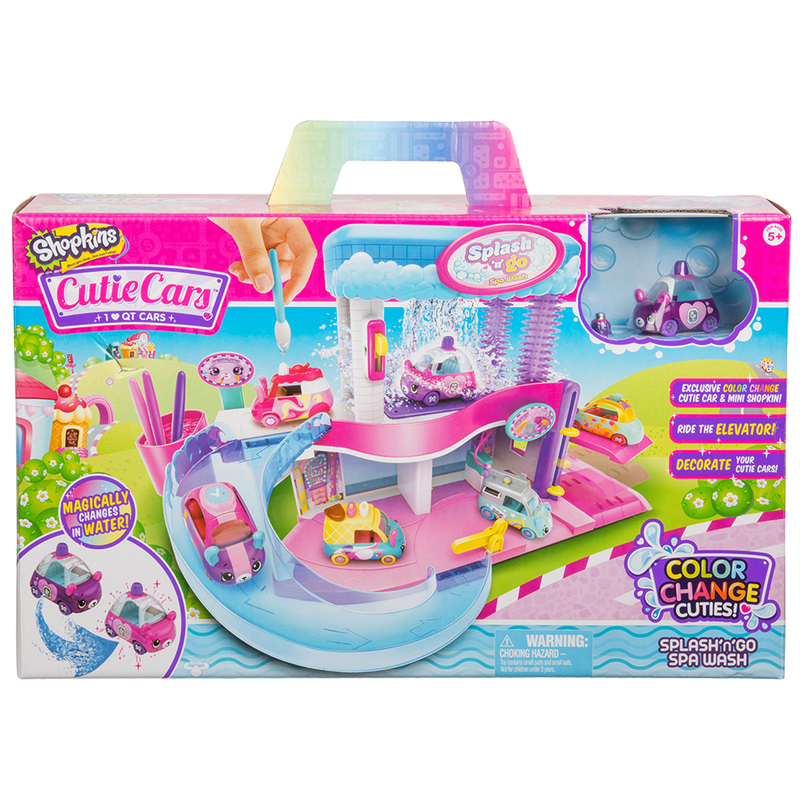 All-new Color Change Cuties are Cutie Cars with an extra splash of color through memory paint technology! 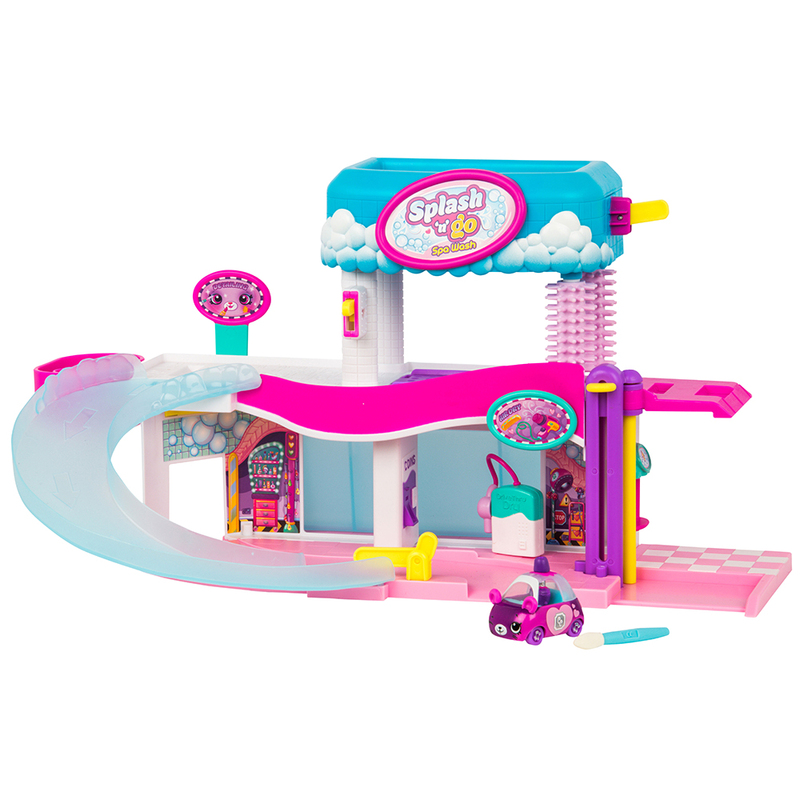 These cute wheeled collectibles come in a variety of fun themes, and include a removable Mini Shopkin collectible figure ready to take the wheel! Dip in warm water to reveal a new color underneath and create your own patterns wth the deco brush!Customize your Color Change Cuties at the Splash ‘n’ Go Spa Wash, the ultimate in luxury Cutie Car treatment. Magically transform your Color Change Cutie under water, and decorate them at the detailing station. The playset includes an exclusive Color Change Cutie along with a Mini Shopkin, a Deco Brush, a Collector's Guide and instruction manual.